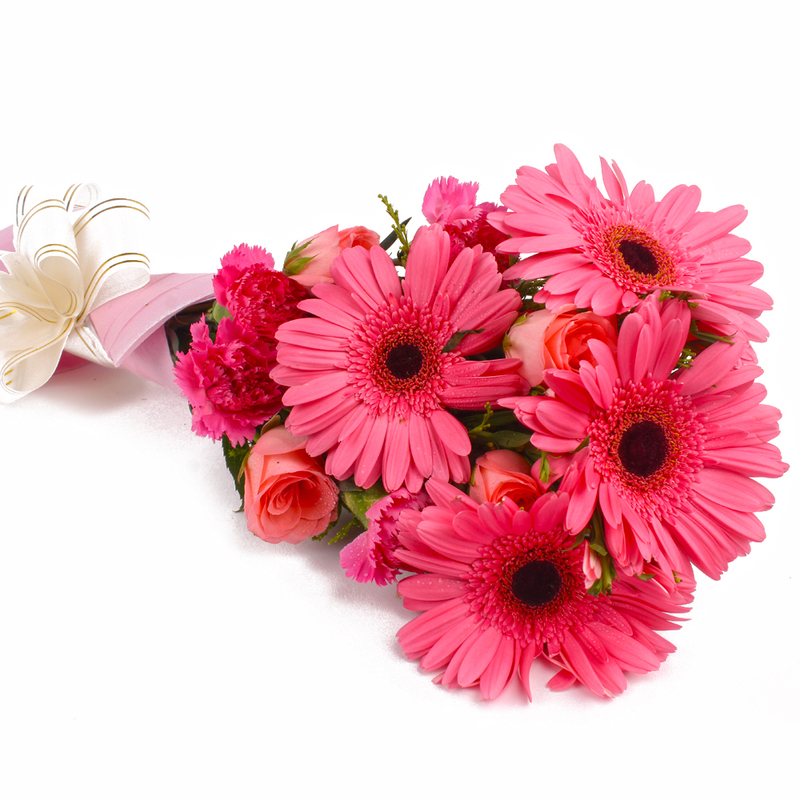 Product Consist : 12 Pink Seasonal Flowers like Roses, Carnation and Gerberas in Tissue Paper with Ribbon Bow. 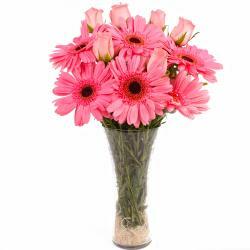 Lovely yet pristine, this bouquet of pink color flowers is perfect for all occasions. 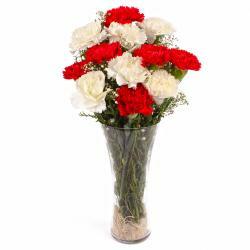 They look pretty for their arrangement in the tissue packing. A matching ribbon has been tied around it like a bow to touch up its look. 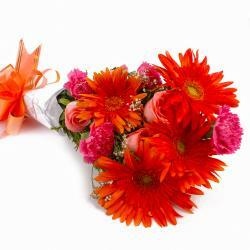 You can gift this bouquet of pink color flowers like roses, carnations and gerberas on occasions like birthday, anniversary, onam, parents Day, hen parties and even farewells. 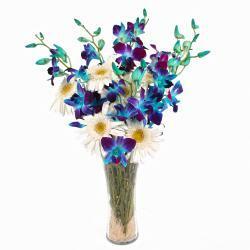 They are fresh and look pretty in all their glory. 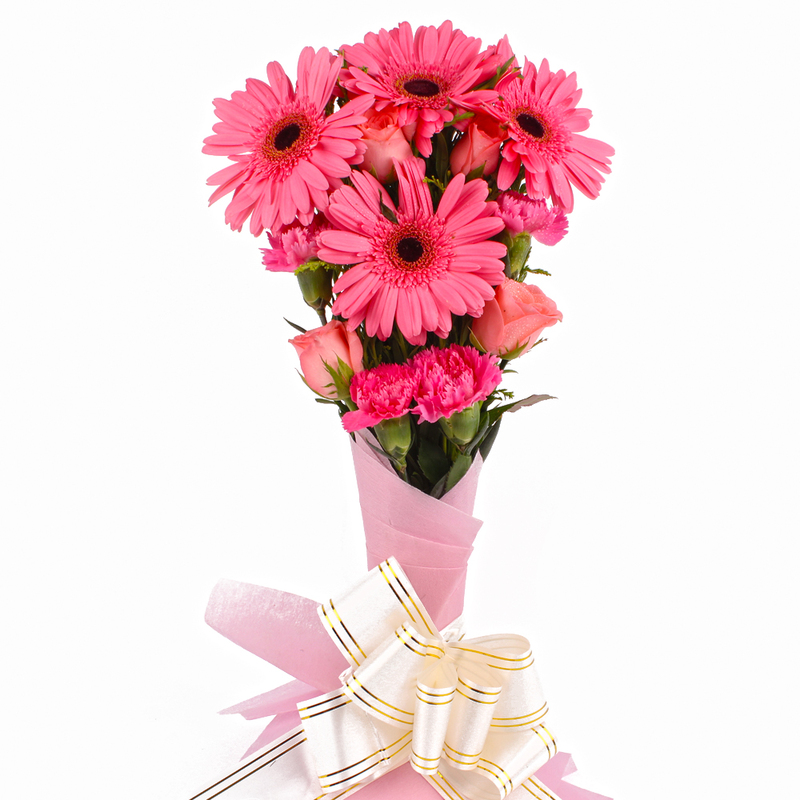 Product contains : Twelve Pink Seasonal Flowers like Roses, Carnation and Gerberas in Tissue Paper with Ribbon Bow.